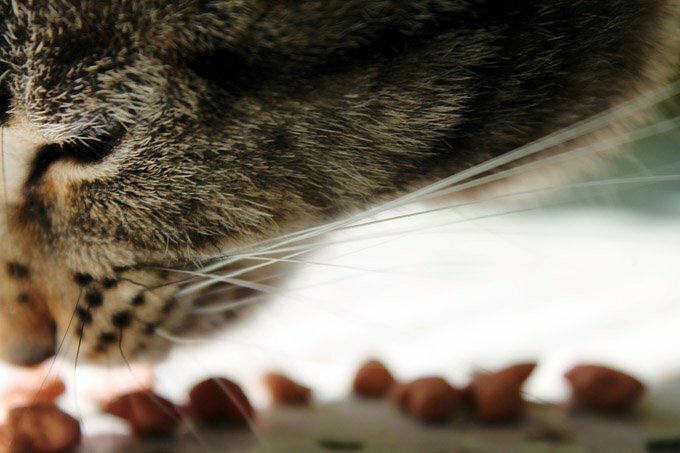 Balance is important when it comes to feeding your entire family, including your pets. It’s often easier to maintain balance when you know what is looks like on the plate – or in the bowl. Whether you walk on two legs or all fours, the right ratio of lean protein vitamins and minerals from fruits and vegetables, whole grains and healthy fats keep the body energized every day of a long and happy life. The right amount of high-quality protein, such as chicken, eggs, and soy, help build strong muscles. Strengthen your pet’s immune system by ensuring its food contains key vitamins and minerals from fruits and vegetables. HIgh-fiber carbs such as whole wheat and barley help your pet feel fuller longer, regulate blood sugar and aid in digestion. Good fats, such as omegas 3 and 6, promote heart health while keeping your pet’s coat and skin shiny.